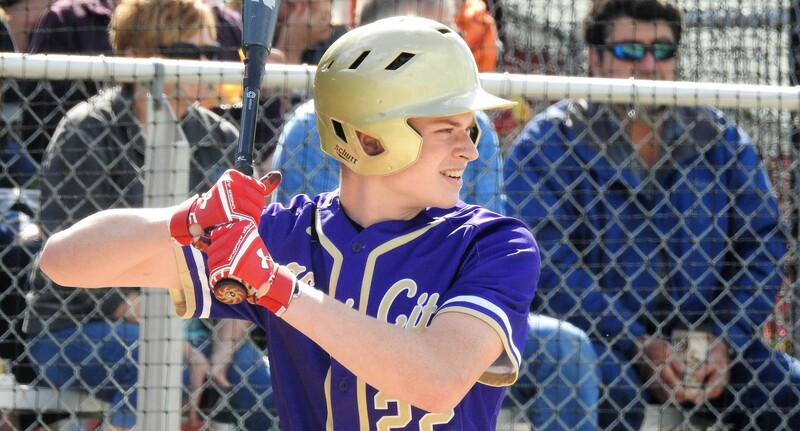 BUTLER, Pa. – Jake Weckerly scored the winning run in the bottom of the sixth to give Karns City a 2-1 victory over visiting Moniteau. Tied 1-1, Ty Belles reached first after a dropped third strike which drove in Weckerly to put the Gremlins up 2-1. Josh Whitmire and Tyler Yough each had a pair of hits to lead the Gremlins offense. Steve O’donnell singled and scored the first run. Gage Neal paced the Warriors going 2-for-3 and the lone run. Jared Lominski doubled and drove in the Neal run. 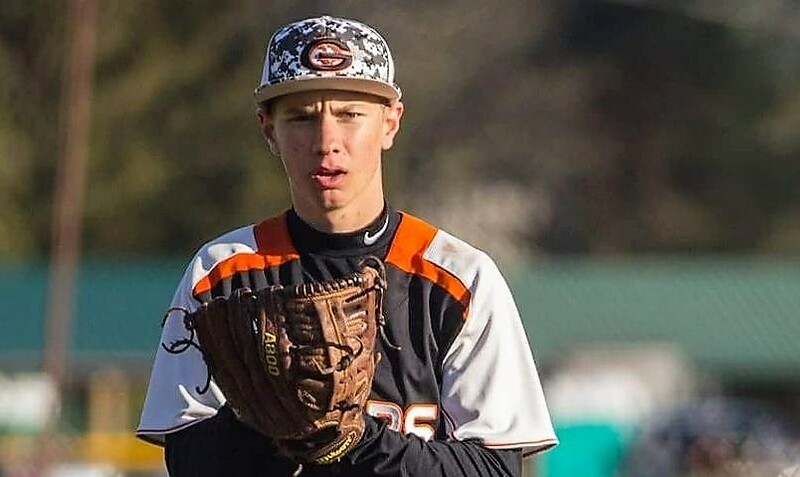 Yough earned the win on the mound striking out six batters while allowing five hits and a run for Karns City. Hunter Fitzningo started the first five innings for Moniteau striking out nine and allowing four hits. Neal took the loss and finished the game giving up the winning run while striking out two. 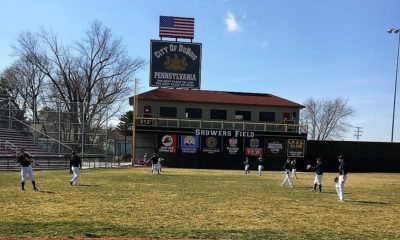 DUBOIS, Pa. – Tanner Lavelle went 3-for-4 and scored three runs to help visiting Central Mountain defeat DuBois, 11-7. Zach Eck went 2-for-4 with a pair of runs and Aaron Swartz added two to lead the Wildcats offense. Aiden Major singled and drove in three runs while Cy Probst doubled and added a run. Kaden Falls and Donovan Burnell each had a pair of hits. Justin Swauger paced the Beavers going 2-for-3 with a pair of runs and two RBIs. Chase Husted doubled and drove in three runs while Eric Schneider and Garrett Starr each singled and had added a run. Caleb Shade got the win for Central Mountain allowing five hits and six runs in three innings on the mound. Schneider allowed five hits and five runs in the loss for DuBois. 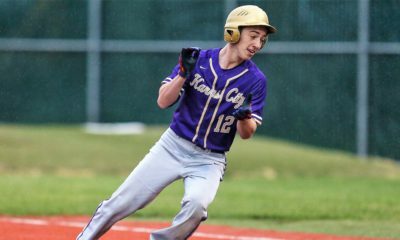 KARNS CITY, Pa. – Despite giving up four runs in the seventh and one in the eight, Karns City answered with two runs in the bottom of the eigth to defeat visiting Moniteau, 9-8. Moniteau led 8-7 heading into the bottom of the eight before Allison Walker tied the game for Karns City off a run scored from an Alyssa Stitt single. Stitt then scored the winning run when Taylor Ekis singled on a ground ball to left field. Stitt led the Lady Gremlins offense with three runs and two RBIs. Kate Allen homered and drove in a run while Mackenzie Dunn went 3-for-5 with a run and three RBIs. Garrah Milochik doubled and drove in a run and Emily Wolfe added two runs. Logan Byers struck out eight and allowed seven hits to earn the win for Karns City. Courtney Stewart and Andrea Eiler combined for six strikeouts and 11 allowed hits in the loss for Moniteau.